I’m writing this in the first person, rather than the usual third-person voice that allows me to remain objective about things on which I report. In this case, I have been the recipient of much joy over the last ten years from being an observer of the ongoing progress in electric aviation. Dr. Brien Seeley, founder of the Sustainable Aviation Foundation, asked me to begin writing a blog about electric aviation in 2009. One of my original postings concerned a Kitplanes Magazine contributor, David Ullman – who was this year’s Sustainable Aviation Symposium’s keynote speaker. In 2009, he predicted a great future for electric aviation – most of which has come to pass, and some of which he is creating in his hangar with his fully-instrumented wind tunnel and ambitious blown-wing design. He proposes something called USTOL, Ultimate Short Takeoff and Landing, aircraft that will use a dynamic relationship between their power and lift systems. His vehicle for demonstrating this is his IDEAL, Integrated Distributed Electric-Augmented Lift, currently under construction in his Independence, Oregon hangar. Friday’s session opened with Ed de Reyes’ talk about the upcoming Pacific Drone ChallengeTM for autonomous cargo aircraft that will carry large payloads from Japan to Moffett Field, California, attendees were treated to a variety of technological innovations. 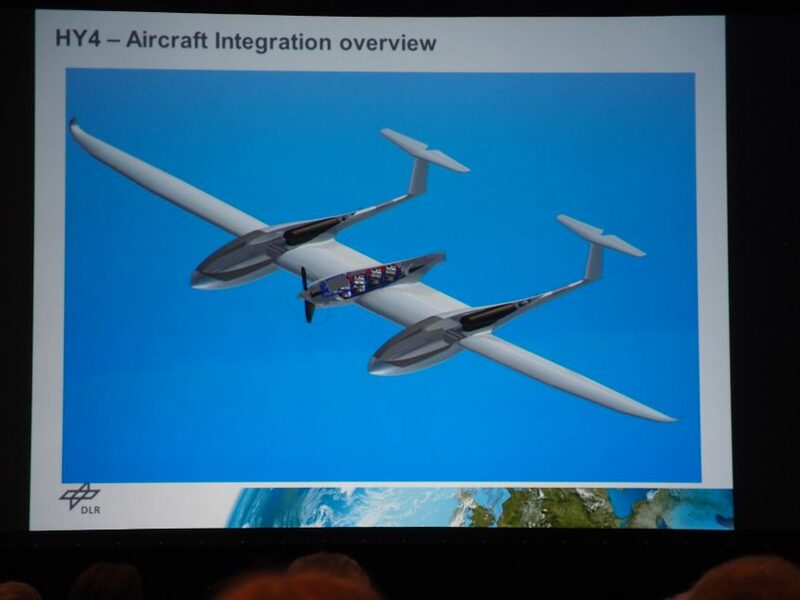 Dr. Tine Tomazic explained the pioneering efforts of Pipistrel to bring electric flight to the masses, and Dr, Joseph Kallo from Germany’s DLR told about converting the Green Flight Challenge winning Pipistrel G4 to the possible future sky taxi HY4, flying now on hydrogen and destined to land in regional airparks around Germany. Tine’s work with MAHEPA (Modular Approach to Hybrid Electric Propulsion Architecture), a European program to investigate future hybrid systems, forms a large part of his ongoing work. This was followed by Neil Cloughley, founder and director of Faradair in England explaining that aircraft like his solar-assisted hybrid triplane could replace land-based commuting. All these talks pointed to electric and hydrogen-powered aircraft being central to planning for a return to regional airports and airparks – making aerial transport more passenger friendly and greener. All these ideals will need technological advances in solar cells and batteries to become realities. Dr. Aarohi Vijh of Alta Devices had a large drone on hand to show off his company’s lightweight, thin-film solar cells, and Dr. Richard Wang of Cuberg showed the increased energy density and safety of his firm’s new batteries. Following lunch, the presentations turned to developing means to make future craft quieter and guarantee flawless autonomy in flight. Dr. Kenneth Brentner of Penn State University shared his expertise in aeroacoustics and that discipline’s application to making electric propulsion a good neighbor. An aspect rarely investigated, tire noise on pavement, was ably explained by Dana Lodico, a professional engineer (P.E.) with a long history of research on reducing traffic (and therefore ground) noise – highly applicable to aircraft landing and taking off. To ensure that large propellers turn at low RPMs, David Calley, founder, CEO and CTO of Planet Rider, is an expert on low-speed, high torque motors. This approach to quietness gains enormous “pulling” power and great efficiency. David was followed by Michael Hirschberg, a mechanical engineer and executive director of AHS – the Vertical Flight Society. Even large rotors in vertical mode tend to make noise, and Michael showed various ways in which designers are attempting to overcome this liability for helicopters and multi-rotors. Within this symposium, attendees could compare the design philosophies that divide vertical flight believers from those pledging their faith to horizontal flight including electric and ultra STOL arrivals and departures. 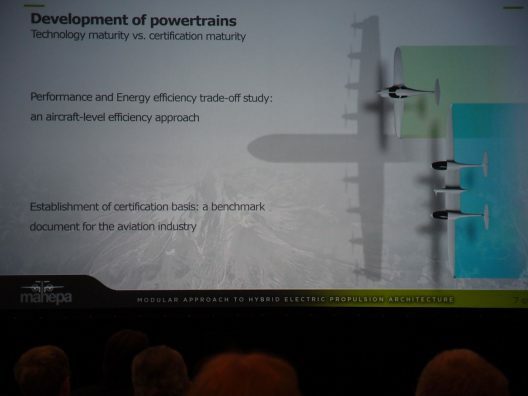 Dr. Seeley wrapped up the pre-break session with an examination of how electric STOL aircraft can provide the utility and neighborhood acceptability necessary for a viable transportation system. Inherent in this is his belief that eSTOL can bring quiet, reliable operation. Following the Friday afternoon break, Dr. Tyler MacCready and Derek Lisowski, both former and current Aerovironment leaders, took different approaches to sequencing and separating traffic in the coming autonomous skies. Tyler is CEO of Apium, a robotics swarming firm developing a suite of software tools that allow autonomous vehicles to be aware of and cooperative with, other vehicles. This concept leads to self-guided, but “polite” vehicles that work well and harmlessly with others. 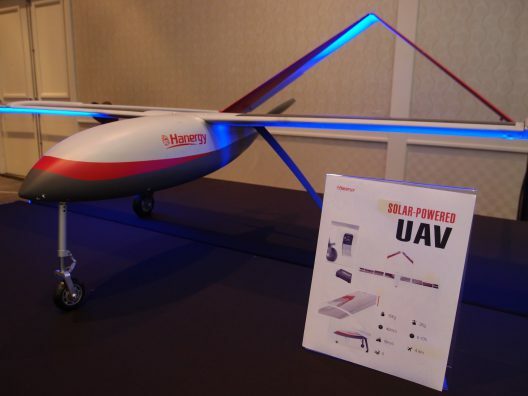 His approach would use an Unmanned Aircraft System (UAS) Traffic Management (UTM) paradigm Even with individual vehicle autonomy, there would be a need for connectivity and a management structure. This airborne Internet of Things (IOT) would rely on vehicle-to-vehicle communications by open broadcast with no formal network and LIDAR to help maintain adequate separation. Derek Lisoski invented and patented the control systems on Aerovironment’s large, multi-motor flying wings. He impressed upon the audience that the idea of aeronautical autonomy is not all that new, showing a picture of Lawrence Sperry and his mechanic Emil Cachin, in a Curtiss C2 flying boat on June 18, 1914. Perhaps not in the airplane, but with one standing on the wing. Lisoski’s experience with unmanned aircraft of all sizes, including the Global Observer and model-aircraft size machines have given him an approach that emphasizes increased reliability through actual flight testing, and the willingness to fail fast and learn. Greg Cole gave an outstanding presentation honoring Paul MacCready’s ideal of doing more with much less and featuring an outstanding airplane, the Windward Performance Goshawk. 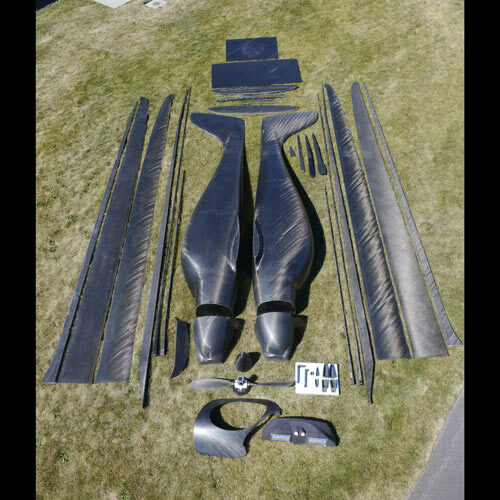 The result of Greg’s years designing high-performance aircraft, including the Sparrowhawk and Duckhawk sailplanes and the Eta Nu self-launching sailplane. Goshawk is a two-seat, side-by-side machine with a conventional low-wing, fixed-gear configuration. Willi Tacke, founder of the e-Flight Expo at Friedrichshafen’s annual Aero Expo, and publisher of World International Directory of Light Aircraft (in several languages including Chinese) finished the afternoon with videos of the electric aerial activities at this year’s Expo. David Calley: Surface Transportation Options for Integration with Airplanes. Richard Wang: Energy Production and Storage. Phillip Barnes: Aerodynamics of the Electric Aircraft and their Motors; paired with Dr. Brien Seeley: Propeller Optimization for Low Noise. With a first day’s brilliant and challenging series of presentations complete, attendees looked forward to a Saturday morning that had even more surprises in store. That will be detailed in the next report.